Sax Lesson (video) – How Much Fingers Affect Your Tone on Saxophone? Your fingers affect your tone on saxophone much more than you might think. A master teacher named Henry Lindeman came up with a method of playing in the 1930s that places a great deal of emphasis on technique for a solid foundation in playing. Henry Lindeman taught Phil Sobel who taught Gary Meek, who I have learned a lot from. Your air stream, tongue, and fingers all need to be aligned to get the tone you want. And the lack of steadiness or movement that is too abrupt will disturb your sound on sax. 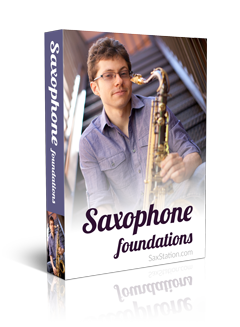 Check out Saxophone Tribe to learn much more and improve your technique (and sound) on saxophone. How can I get a good tone/sound from my alto saxophone? Cutting Your Tongue Out to Get Better on Saxophone? Great lessons you are doing! Appreciate the ideas from Mary Fettig. I have talked to a few sax players about where it’s appropriate to use the alternate fingerings, really seems to be a matter of preference. Definitely can make things smoother. Comes at some price in terms of intonation and sound though. At higher speeds, it’s generally not noticeable though. Didn’t know Phil Woods encouraged that. Lots of different approaches to the saxophone out there! Thanks for all the great tips you give. Keep playing on what you have? How long have you been playing?